I was lucky to have scored an invitation to the ASCD Leader to Leader Conference. ASCD is a premier education organization that engages a membership of about 150,000 educators internationally. This particular conference concentrates on the leadership of ASCD. 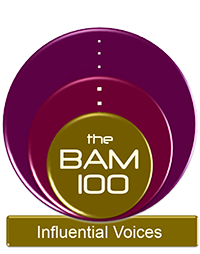 It is a great effort by this organization to bring together its leadership as well as invite, introduce, promote and revere new leadership along with tried-and-true leaders. This is a great way for any organization to transfer power from the old guard to the new. My invitation was somewhat of a mystery to me. I am not a leader within the organization or interested in becoming one. It is not that it is a position that I would not be honored to hold, but my career has taken me down another path. 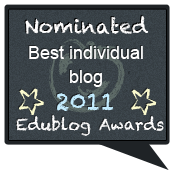 I am a blogger, and one of my platforms is ASCD EDge, one of several websites that ASCD uses to expose members to blog posts, discussions, media and events of education. My assumption is that my invitation was linked to my blogging, which is a gutsy thing for any organization to do. It opens the inner workings of the organization to the scrutiny of someone who can expose its blemishes to the world. It is a true acceptance of transparency. In my role at this conference, I found myself at times an observer and other times a participant. What was obvious to me as an observer is that many tools of technology have changed the definitions by which the organization tries to govern itself — a dilemma not foreign to the system of education. The most obvious of these definitions is that of “connectedness.” In terms that leaders of this group understand, they are connected by e-mail, websites, cellphones and state-of-the-art conferences. Compared with 20th-century methods of connectedness, these newer methods should be taking the leaders to a higher level — and they do, but they don’t meet the expected goal. What was obvious to me in all of the leadership discussions is that the leaders were viewing connectedness as a static position that they had reached. They expected that after they created websites and organized conferences, they could get the message out to more members than ever before. All of that is probably true, but the real question is whether they are reaching everyone possible and necessary to be relevant. We can’t use standards of the 20th century to determine success in the 21st. Developing technology will continually move the mark forward. Our definitions will continue to evolve as technology changes the methods and intensity of things we do. Our goals become moving targets, and if we don’t adjust our sights, we can never hit those goals. My view of the missing piece to the puzzle for this group and many others is the integration of social media and the ability to strategize their use to maximize communication, involvement and creation by members to advance goals of the group. This can also apply to education. Educators can use social media to connect, communicate and create with other educators to advance their goals. Of course, the obvious stumbling blocks are large and multiple. First, we need to convince people that social media such as Twitter and LinkedIn are serious and effective for professional connections, as well as learning. Second, we need to teach the basics of these tools so people can use them. Third, we need to apply strategies to use these tools effectively to maximize their potential for ongoing, continuous connectedness. Again, all of these obstacles are not limited to organizations such as ASCD and its members; they also apply to educators and education. We cannot continue to act using definitions from the past to address today’s goals. Technology is rapidly and continuously changing what we do and how we do it. Being truly connected is the only way we can maintain relevance. Education has traditionally been a conservative institution, with change coming slowly. That is no longer an option for educators. Technology is the game changer. If we are not moving forward, we are falling behind. If our leaders and professional organizations are not staying relevant, the revolution many of us are hoping for in education might arrive too late to help. This is what I had to offer ASCD as a result of my participation in its forward-thinking conference for leadership. Additionally, I hope we can apply some of these lessons to an education system that needs leadership to define itself in relevant terms to effect change. I am tired of having educators and education being defined by businesspeople, politicians and tax reformers. We are the education experts, and we can define ourselves in relevant terms. 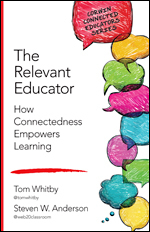 Tom Whitby (@tomwhitby) is an adjunct professor of education at St. Joseph’s College in New York. He came to that position after 34 years as a secondary English teacher in the public school system. 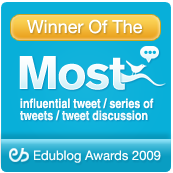 He was recognized with an Edublog Award for the Most Influential Educational Twitter Series, #Edchat, which he co-founded. 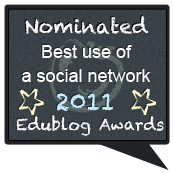 Whitby also created The Educator’s PLN and two LinkedIn groups, Technology-Using Professors and Twitter-Using Educators. I recently attended a complete immersion of education philosophy, education methods and pedagogy, technology tools for learning and connectedness with education thought leaders from around the world. All of this took place at one of our premier annual education conferences, ISTE 2012 in San Diego. Educators attend these conferences with their own focuses. They select the sessions they need from a smorgasbord of high-quality presentations on education topics given by practitioners and authors, all vetted by a screening committee of educators. A majority of the comments that I heard from attendees were positive, with one exception. There were some presenters who adopted a stand-and-deliver lecture style — the death-by-PowerPoint presentation. Many educators simply hated this type of presentation and were fairly vocal about it. Of course, I am but one person talking to a small sample of people, so there might be less to this than I was led to believe. Of course, individual presentation styles cannot be controlled by screening committees. It will only be through feedback that these methods will dwindle and die. We will always have a lecture form of method for teaching, but we can hope for it not to be a focus for all lessons. The more engaging give-and-take, discussion-oriented presentations seemed to have been more popular with the folks with whom I spoke. This should be a lesson to all educators to take back to their classroom practice. My personal focus for this conference was to make connections. Connectedness among educators is something you will be hearing quite a bit about in the upcoming month. It has been so declared as a national month of observance. Of course, the irony is that many of the national organizers have not been connected educators. Educators who have been connected and working those connections were contacted late in the process. That is another post for later. ISTE 2012 is one of the best sources for connecting with education experts and education thought leaders. My goal was to touch base, connect or reconnect with as many of these folks as possible. Fortunately, each time I connected, a valuable conversation resulted. 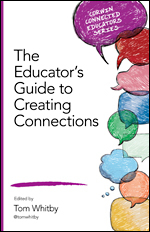 Many educators use various methods to connect with other educators for the purpose of professional exchanges. 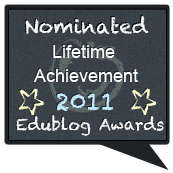 These exchanges include ideas, information, websites, webinars, videos, advice, connections to other educators and personal relationships. Connected educators use conferences such as ISTE 2012 for face-to-face meetings with those digital connections. All of this is valuable to a profession that before digital connections was somewhat isolated. Digital connections can provide a bridge to cross that void of professional and personal relationships. The connectedness of ISTE attendees is most prevalent, and there appeared to be a high percentage of connected educators in attendance. This, of course, is my opinion, but with all of the social media tools at my disposal, I am probably directly or indirectly connected to 40,000 to 50,000 educators. That’s the question that I always get from people new to digitally connecting with other educators. 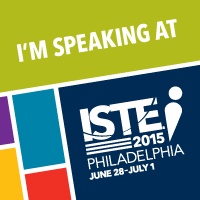 I went to ISTE to seek out and connect with education thought leaders I hold in high regard. My standard was to connect with those who not only have great ideas in education but also are willing to share those ideas. An idea not shared is only a passing thought that will never become an idea. The best part of ISTE 2012 for me is that no one was unapproachable. 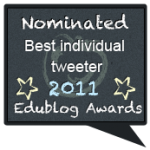 As in social media, ideas at ISTE 2012 were the focus, and a person’s position and title took a back seat. My interest was to interact with many of the folks who are public supporters of those ideas. These are the people I follow and interact with daily. I always hate putting out lists because there are too many people who might belong on that list but are left off. I will say that this is a partial list of those with whom I connected at ISTE 2012. Most were presenters and keynoters. 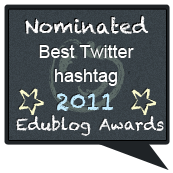 Feel free to use this as a starting point or an additional resource for educators to follow on Twitter. My apologies go to the many whom my faulted memory has omitted. I am sure they will be included on some follow-up lists. ISTE 2012 provided many things to many educators. My best take-away is the great face-to-face connections with people with whom I have been digitally connected, as well as with those with whom I want to be connected. In a profession that relies on teaching relevant information to ready students for the world that they live in, we must maintain our own relevance as educators and citizens. Being a connected educator is the best way we can maintain that relevance. ISTE 2012 reinforced that position for me, and my personal goal is to connect the dots and help all educators to be connected.